Combination of these types of lodging. Using the mountain huts infrastructure: This gives a great chance to spend all your time surrounded by awesome sceneries as most of the huts are high up, between 1000 and 2500 m. elevation. Multiday treks in Rila, Pirin and Balkan Mountains are possible only if you use that sort of accommodation. Most of the huts in the mountains of Bulgaria were built during the Communist time. In that period the ownership and maintenance were centralized and there was a stable financing. At present some of them are private, some – rented for a long period of time, enough long to motivate the occupiers to put money in reconstructions (if they can afford it), and some are still managed by BTS (Bulgarian Tourist Union, the old communist еrа organization with considerably lower potential today). This brings to big differences in the quality of the services. There are places that are renovated and offer good facilities and others where there is a struggle to keep the roof not to fell down. In general, in the high season (June-September), with or without reservation, you can expect to find somebody to welcome you and something to eat all around the huts on the popular routes. Lodging is usually in dormitories from 4 to 20+ people in each, inside or outside toilets, warm shower is probable. The quality of the hut accommodations in Rila, Pirin and Central Balkan greatly varies – from very basic to more hotel-like commercial properties. There is no common standard, so be prepared for the worst and enjoy the good meal, the shower and the hospitality wherever you meet them! Some of the huts have drop toilet only and no shower/hot water, other have only a couple of bathroom facilities, sometimes for a significant amount of people – be prepared for such discomfort. Carry toilet paper with you as it is generally not provided. Please check the ‘Huts’ section of the website for more info and contacts of the huts in the mountains of Bulgaria. If that sounds too rough to you, better stay lower down at the villages and get a hotel or a guest house. There is numerous villages, resorts and holiday areas in the foot of the mountains. Exception form this are Rhodope Mountains where the locations are everywhere into the mountains, so one can hike or cycle directly from one overnight point to another. If you plan to stay in a town or village in the foot of a certain mountain range, a good road or lift to the high parts should be an important consideration when choosing your location. The advantage is that you can pick between 2-3-4 stars accommodation and carry only a small rucksack with you while exploring the area, the disadvantage – a transport is needed to take you to the starting points for hiking in the mountains and back every day. Camping – if you are keen to carry tent with you, you should know that camping is prohibited in national parks, nature parks, reserves and water supplement areas, unless you stay in a camping site. There is lack of such a facilities in Rila, Pirin and Balkan mountains and very often tents are placed near the huts in summer. This may be a good idea in August and save you from the noises of a crowded dormitory but according to national park regulations even these areas are prohibited for camping, or a limited number of tents is allowed near the hut – always ask the local guardians in advance, before setting your tent! There is no problem to camp free anywhere else outside protected areas but in general don’t expect to find any camping facilities in the mountains. Trakia Guesthouse is a charming Guesthouse, suitable for a pair or family with children, or alone travellers. The Guesthouse is situated 10-15 minutes walking distance to the Cathedral Alexander Nevski. The guests will enjoy a cozy atmosphere in art style and feel like at home. Trakia Guesthouse provides also one day trips in Sofia and the surroundings, rent-a-car, bus tickets. Your site is very helpful, thank you. We have managed to book for our group of 7 at the huts which have a web site or e-mail but not at Ezera / Ribni Lakes or Malyovitsa despite trying to phone and sending text messages. Please can you confirm that they are still in use and will be open this month. Will we be able to be catered at these huts? is there a possibility to stay in one of the huts for whole day? 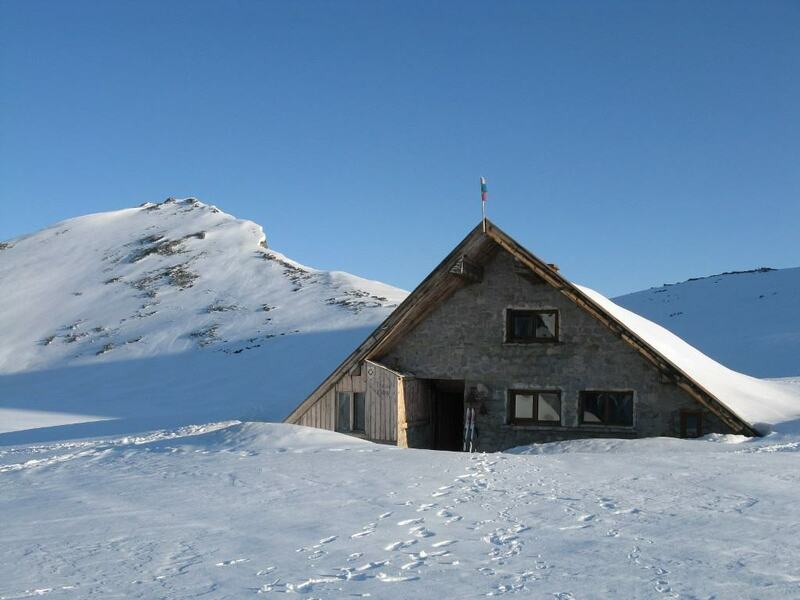 Are the Rila Mountain huts open in May? Is it possible to hike Rila Seven Lakes at this time of year? Hi there – I’d like to do the Rila Traverse in August. I don’t really like staying in dorms in huts, and in the past (in countries like France, Spain and Albania) I have been able to camp in my tent in a field or grassy area just outside the hut/refuge. Do you know if this is possible at all places on the Traverse route? I don’t want the hassle of having to book a bed in the hut in advance. Thanks very much for your help. Hi, yes, this is not a problem. In some of the huts they`ll charge you something for using the facilities or just camping next to. Its generally not allowed within the national park, but near the huts it is accepted. Hi there! I’m looking to stay during mid Jan. I’ve never been to Bulgaria but I’d like to do a 3 day backpacking trip in the most scenic parts of the Country. I’m looking for information on what trails to take and what huts would be available during that time. Thanks for the help! Hi! Do you normally book in advance? Hello, yes, it is always advisable to book in advance, although they`ll accommodate you even if you show up without reservation. Is some occasions (holidays, etc.) the huts might be full. I would like to travel to Rila and Pirin and use the mountain huts in October. Are, generally speaking, the mountain still open for use? Hi Monique, yes, the huts are open in October!